Gerald Elmer Higgins, 69, of Port Washington, Wisconsin, passed peacefully to eternal life Saturday, December 7th, 2013 at Aurora Hospital in Grafton, Wisconsin, with many family and friends present. Gerald was born May 24th, 1944 in New Brighton, Minnesota to Paul J. Higgins and Elsa Emma Kathrine Higgins (nee Janke). The family lived briefly in Polar, Wisconsin when he was just a boy. As a teenager he lived in Milwaukee attending Nathan Hale High School, graduating class of 1962. He attended Waukesha Technical College and graduated 1964. Gerry worked for McBain Lincoln Mercury, Town of Mukwonago, Waukesha South High School, Waukesha Co. Sheriff Department, then Central Locating Service until he retired. Gerry spoke often of his various jobs in law enforcement and in his final years as an underground utility locator. He loved the travel opportunies his final job afforded him. Gerry was a one-of-a-kind person, a character not enough people had a chance to meet. He went out of his way to get noticed though, and get noticed he did. Just a few weeks ago, he had colored his hair hot pink! It was still this bright color when he passed. He enjoyed an active life, going to community events, parades, attending family functions, and more. His hobbies included watching sports, a love of games like sheepshead, cribbage, the dice game greed and bingo. He also loved going to casinos when he could. He loved playing the Lottery, but never hit it big. Gerald Higgins was preceded in death by his father, Paul Higgins; mother, “Elsie” Kleinmann (Higgins, nee Janke); step-father, Roman Kleinmann; sister, Pauline (the late Jack) Vaughn; sister-in-law, Priscilla Higgins (nee Reeves); other relatives and friends. 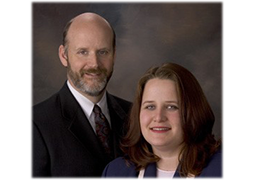 Gerald is survived by two sons, Ronald and Jeffrey (Shari) Higgins; a brother, James Higgins; a sister, Susan (Joseph) Hayes; a step-sister, Lee Ann (Robert) Gotter (nee Kleinmann). Many nieces, nephews, cousins, other relatives and dear friends. Friends are invited to attend the visitation Thursday, December 12th, 2013, between 5:00pm – 6:00pm, with Catholic Mass to follow. All services at St Mary Catholic Church, 430 N. Johnson Street, Port Washington, WI. The family invites you to a reception and celebration of his life to follow. A private family service of interment will be held Friday at Holy Cross Cemetery, Milwaukee. 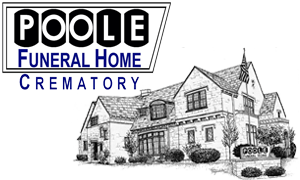 Funeral arrangements with Poole Funeral Home. Memorials to the family to assist with final arrangements, are appreciated.